According to Premier Marbella news sources, Mijas property prices rise considerably while in Marbella they remain stagnant. Mijas is the place on the Andalucía coast with the third-highest rise in property prices, with 13.4 per cent, followed closely by Fuengirola and Torremolinos. Mijas property prices continue to mark all time highs and the demand is a primary factor attributing to this. The central area of the Costa del Sol has taken over from Marbella in terms of increasing property prices. Mijas property prices rose most between the first quarter of 2017 and the same period this year: by 13.4 per cent, making it also third in Andalucía after Cartaya (up 17.1 per cent) and Almonte (15.2 per cent). In third and fourth position come Fuengirola (11.9 per cent) and Torremolinos, with 10.9 per cent. In Marbella, according to Tinsa’s report ‘Housing on the Costa 2018’, prices have barely changed. Tinsa’s technical director in Andalucía, Rafael Jiménez-Salas, believes this slowdown in Marbella could be because the municipality is reaching a ceiling after price increases over several years. It is still the place on the Andalusian coast with the highest prices (2,069 euros per square metre) and is expected to be the first in which prices return to pre-crisis levels. The stagnation in prices is not due to a slowing of the property market: Marbella still has more properties available than anywhere else (284 new projects were authorised in 2017, the third highest number on the Andalusian coast) and more demand: 4,285 properties were sold last year, higher than anywhere else excluding Malaga city. There is no risk of the property market on the Costa del Sol overheating, even though prices have risen so much in some towns. The indicators have to be analysed together and if we do that, we can see that in terms of production we are still well below pre-crisis levels,” says Jiménez-Salas, who describes the Costa del Sol as clearly recovering, with 90 new developments being built. The ‘Housing on the Costa 2018’ report is a review of the holiday property market in Spain, using statistical information and the local experience of the Tinsa network. It divides the Malaga coast into three areas: the Axarquía, central Costa del Sol and Costa del Sol west. With regard to the Axarquía, the report shows that prices are expected to keep rising because the housing stock is low, the economy has improved and financing is easier now. Combined with increased tourism on the Costa del Sol, this will help to boost demand. Unlike the previous year, new developments have begun to be built in most municipalities,” the report says. Older projects which had been suspended have been reactivated and the price of land is beginning to rise again. The area between Torremolinos and Mijas is in clear recovery in terms of prices and sales, and new developments, the report points out. In fact, Tinsa believes prices will continue to rise, because sale prices for the new developments currently under construction are already high. 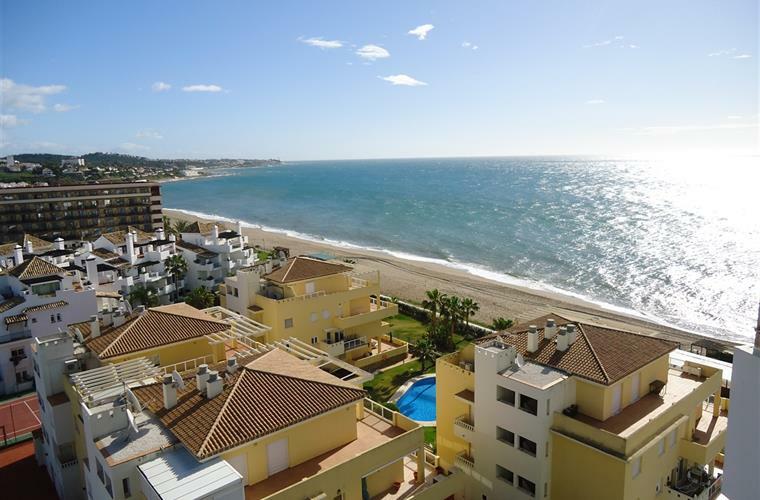 Leading Marbella property specialist Romano Keogh commented that new projects are being carried out, principally in Mijas and to a lesser extent in Fuengirola because of the lack of land. Practically all of of the purchasers are foreigners in this area with the exception of Fuengirola. The majority are British or German, but recently there has also been a big increase in Scandinavian buyers. Between Marbella and Manilva there is also notable activity, with 300 homes under construction in Marbella and about 800 in Estepona. The prices for brand new properties are reaching very high levels now and they could be edging towards a leveling out.